Join us on Sunday, October 21 from 12:45 - 1:45 pm for some “COOL” fun at the Blue Line Arena of the Civic Center in Willmar!! This is a FREE event for individuals interested in learning more about figure skating and the Diamond Edge Figure Skating Club!! You can bring your own figure skates or get a pair to try for FREE. Diamond Edge Figure Skating Club Instructors and Assistants will be on the ice to work with your skaters. Diamond Edge FSC provides a fun and safe skating experience for the beginner as well as the more advanced skater!! Our Instructors teach the correct technique on the basic elements of figure skating as outlined by Learn to Skate USA! 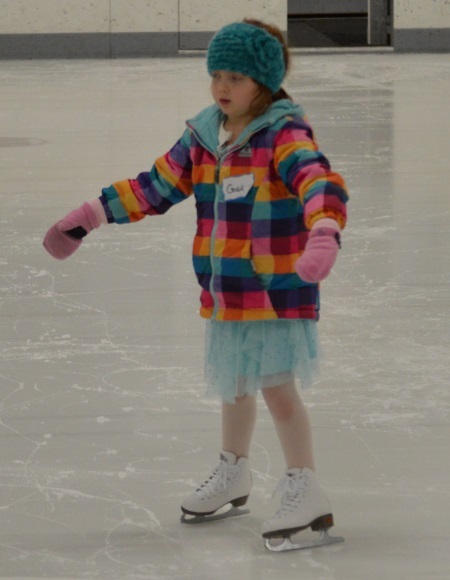 Information on our skating programs will be available at the open house. If you are unable to attend the open house but would like registration materials or more information on Diamond Edge FSC, please email diamondedgefsc@outlook.com. Diamond Edge Figure Skating Club is a member of the Learn to Skate USA!